like that time she swatted his hand away during a foreign visit, or that time he tried to hold her hand and ended up grabbing her coat sleeve instead. Their latest display of intimacy comes during a White House event for French president Emmanuel Macron. Cameras caught Trump trying to reach for the First Lady’s hand, but meeting resistance. 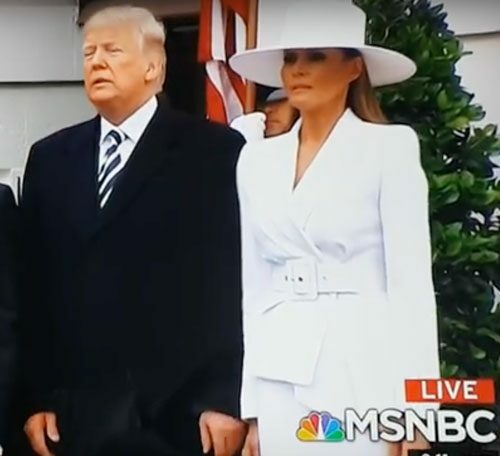 It’s getting to the point where Melania is going to have her hands surgically replaced with two rabid raccoons who will bite at Trump every time he tries to touch them.